Terez sweatshirt with skull-foil print allover. Champion Europe hoodie in reverse weave cotton. Embroidered logo at chest and sleeve. 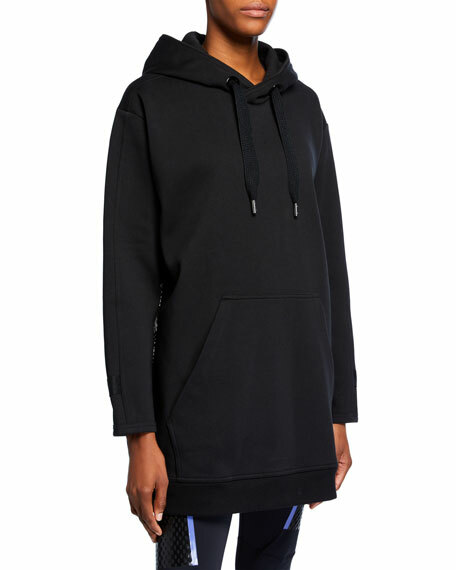 Hooded neckline; drawstrings. Long sleeves; ribbed cuffs. Kangaroo pocket. Relaxed fit. Ribbed hem. Pullover style. Cotton/polyester. Imported. 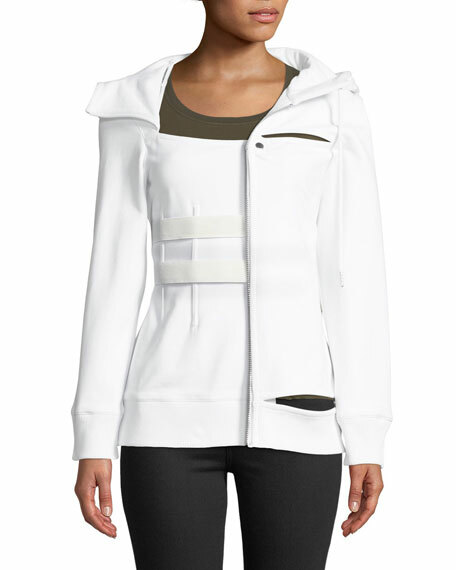 Shayne Oliver for Helmut Lang deconstructed jacket. Approx. 26.5" down center back, 22" sleeves. Drawstring hood; zip front. Long sleeves. Straps at waist. Slim fit. Cotton/nylon. Machine wash. Imported. 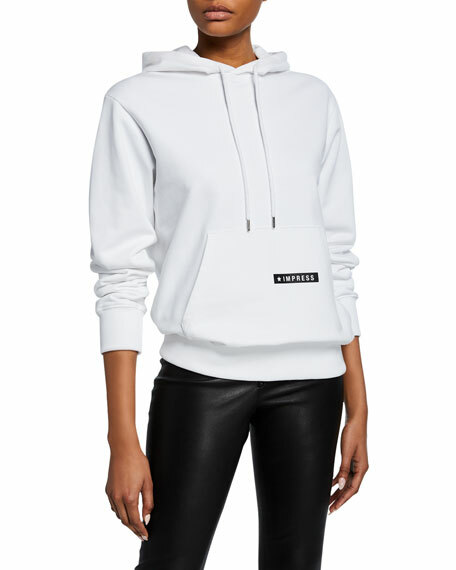 Helmut Lang "Worldwide" hoodie with allover logo printed back. Hooded neckline with drawcord ties. Long sleeves. Ribbed cuffs and hem. Kangaroo front pocket with graphic. Relaxed silhouette. Pullover style. Cotton. Made in Portugal.